The artist Fiona Curran has created a giant Wardian Case from which an array of enormous, gaudily-coloured plants bursts forth in a display of exuberant defiance. Click here to read Fiona's blog as the installation takes shape. 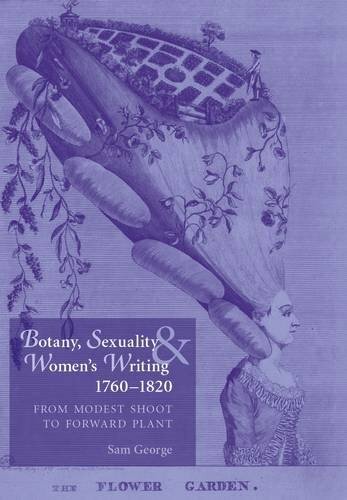 In the early C18th, botany was seen as an entirely innocent study, an acceptable pursuit for a respectable lady: flowers were representative of her delicacy and virtue. But when in 1735 Carl Linnaeus published Systema Naturae, his plant classification system which made shameless observations about the reproductive organs of plants, the atmosphere changed dramatically. Strong reservations were expressed about the dangerous influence of botanic study on the delicate female sensibility: philosophers and moralists argued over whether botany was any longer a suitable subject for a lady. Click here to read a summary of the debate.